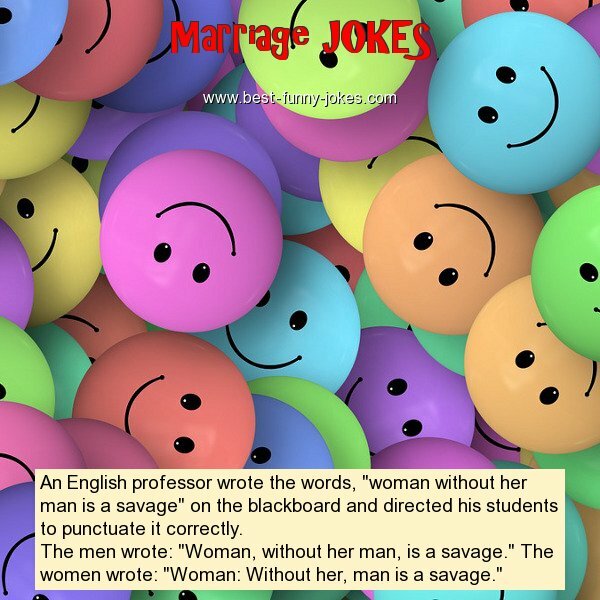 An English professor wrote the words, "woman without her man is a savage" on the blackboard and directed his students to punctuate it correctly. The men wrote: "Woman, without her man, is a savage." The women wrote: "Woman: Without her, man is a savage."